Basically, the RapidKL bus routes can be separated into six areas. 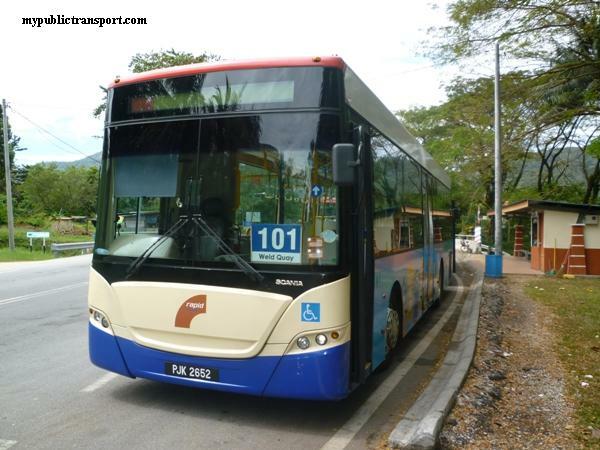 This post will not explain the type and services of the RapidKL buses. To view more about the structure and services term of the RapidKL bus system, you can read our post of "Introduction of RapidKL Bus". Next, the six areas of all the RapidKL bus routes are lineout as below.You can click the routes number for more detail about the routes. Bus services in area 1 are used to connect several places in the main Kuala Lumpur city centre. 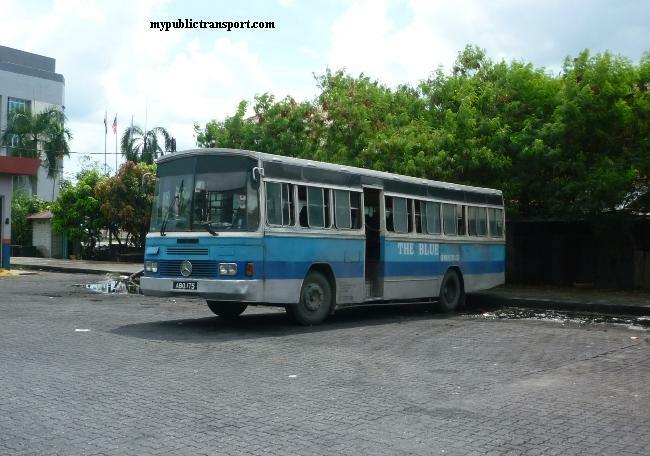 The concept of "Bandar" bus which means the bus around the city was introduced back in year 2004 with 15 routes initially. However, most of the lines have been closed due to the reallocation of RapidKL bus in year 2009 which saw only 4 routes left until today. Buses routes for area 2 covered the northern region of Kuala Lumpur such as Gombak, Batu Caves, Sentul, Kepong, Selayang, Segambut, and Mont Kiara.Some of the local trunks are feeder from the Kelana Jaya line and Sentul Line LRT Station. 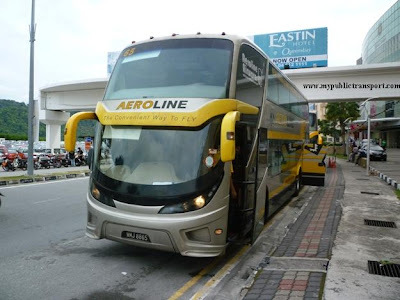 Bus services for area 4 are mainly cover the two main trunk which is the location around Jalan Cheras and Sungai Besi. Places such as Kajang, Putrajaya, Serdang, Sungai Long are covered in this area with high frequency. Area 5 covers Puchong ,Subang, klang, Southern region of Shah Alam and Petaling Jaya. This area is basically separated with Area 6 by the Federal Highway. Area 6 covers area such as the nourthern region of Shah Alam and Petaling Jaya, Damansara, Sungai Way, Kelana Jaya, and Kota Damansara. Buses to various Kelana Jaya Line LRT Stations are available here. Good morning... May i ask.. How to go to british malaysian institute from pasar seni ? May i know where to take bus to go Sunway Pyramid besides take Putra train to Kelana Jaya Station and take bus? Is there anywhere else for me to take bus? and may I know the bus number? May I know where to take bus to go to HSBC at CyberJaya? Which Bus Should I take? may I know the bus the number and place where I should take the bus. I stay in tasik prima Puchong. From Tasik Prima Puchong you need to use RapidKL U70 to IOI Mall, then change U43 to Putrajaya Sentral. From Putrajaya Sentral, use RapidKL U429 to HSBC at Cyberjaya. Note that U43 come every 90-120 minutes. Hi! How can I get to Shah Alam Komuter KTM Station from Shah Alam Section 7? What does number should I take from Section 7 close to Jalan Kristal? From Shah Alam bus terminal, you can use T529 to KTM Shah Alam. From TESCO Puchong, you need to use U43 to 1Utama and change U82 to Plaza Vads TTDI. The main problem here is from your origin to Tesco Puchong and U43 take one hour to come. 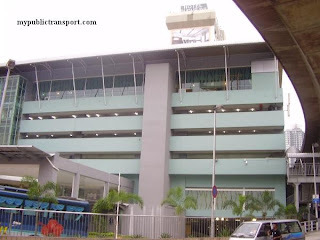 How to go to Menara Kencana at Solaris Dutamas 1 from stesen ktm kepong sentral? So there is no bus from segambut to Menara Kencana? I noticed that it is near segambut KTM. It would be troublesome(waste of time) to travel all the way to KL then back to Menara Kencana. Anyway what is the frequency of the U83 bus? how to go to CIMB BUILDING at jalan semantan witout taking taxi? Hello. May i know where to take the bus from Cheras to Sunway Pyramid ? May i know the number of the bus ? I stay at Cheras Hartamas. Thank you. You can use RapidKL U47 or T405 to the nearest LRT station, then use LRT to Kelana Jaya (You may need to transit at Masjid Jamek), then use U623 from Kelana Jaya station to Sunway Pyramid. hi..may i know how to go to shah alam seksyen 9 from koi tropika puchong? You can go to Jalan Puchong and use U69 or Metrobus 58 to KL Sentral, then use RapidKL U80 to Shah Alam bus terminal, last, use T602 to Section 9 Shah Alam. You can use RapidKL T625 from Taman Bahagia station or U84 that passby Pasar Seni, KL Sentral, Mid Valley. Hi, may i know how can i go solaris dutamas from usj 2? You can use RapidKL U63 to KL Sentral, then change RapidKL U83 to Solaris Dutamas. You can use LRT from Maluri to Kelana Jaya (Transit at Masjid Jamek), then use RapidKL U89 to 1Utama. You can use LRT MALURI to Bangsar (transit at Masjid Jamek), then use RapidKL T634 to Damansara Height. You can also use RapidKL U83 from KL Sentral. Hello. 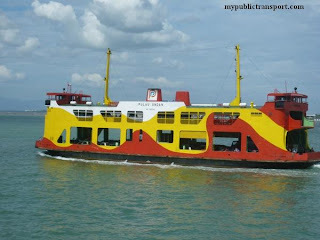 I will be arriving at Puduraya from Penang. How do I make my way to Shah Alam Seksyen 13? Thank you. Kindly help advise the best method to head there from Puduraya. Thanks! You can use RapidKL U80 from Pasar Seni (walking distance from Puduraya) to Persiaran Kayangan, Shah Alam, then walk to GoodHope Hotel. 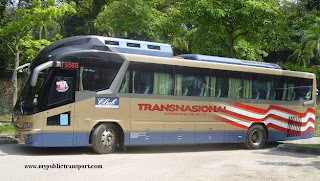 How can I get to KL from USJ 15 Subang Jaya.Bus or LRT or combination? HOW TO GO TO LEMBAGA PEPERIKSAAN NEGARA AT PUTRAJAYA? 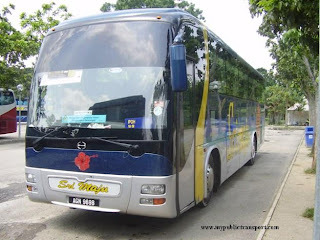 You can use Nadi Putra bus from Putrajaya Sentral to Parcel E.
how to reach plaza mont kiara from asia jaya ? You need to get yourself to Titiwangsa LRT station using LRT. Then from there you can use RapidKL U618 to Plaza Mont Kiara. What is the approx time.. and bus frequency..
You can use LRT to KL Sentral (transit at Masjid Jamek), then go to bus stop near Mobil for RapidKL U63 to USJ Summit Hotel. how to reach to midvalley from uitm shah alam? How to go to sunway damansara technology park by bus from lrt kelana jaya? can i know how can i go to kota kemuning from Klang Town? 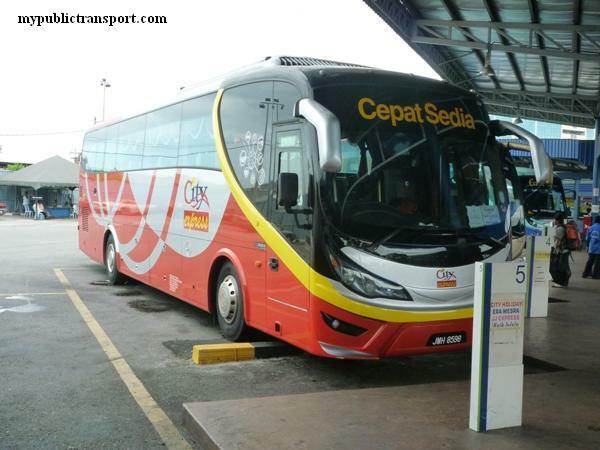 You need to get yourself to KL using express bus service. Then from Pasar Seni or KL Sentral use rapidKL U64 to Sri Muda. Last, use RapidKL T530 to Kota Kemuning. Hello. May i know where and how to take the bus from Pudu to Sunway Pyramid ? May i know the number of the bus ? Thank you. I wish to know how to travel from Taman Suria Selayang to Sunway College. How long will it take? Hye, how to go to Plaza vads ttdi from nearest LRT station? Which station i should stop at? Kelana Jaya or Taman Bahagia? N then what bus i should take? You can use LRT to KL Sentral, then use RapidKL U82 to Plaza Vads TTDI. May I know is there any buses go around in between Putrajaya? For example,if I wish to go from Presint 2 to Presint 3,is there any buses to reach there? may i know any public transport to reach stadium shah alam from wangsa maju setapak? 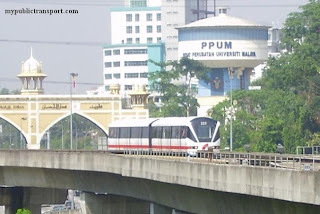 You can use LRT to Universiti station, then use RapidKL U88 to Shah Alam bus terminal. Last, use RapidKL U605 to Shah Alam stadium. How to reach Plaza mont' kiara from titiwangsa lrt station? You can use RapidKL U67 or Metrobus 13. You need to use RapidKL U623 to Kelana Jaya, then use U89 to 1Utama. Last, from 1Utama bus hub, use RapidKL U86 to Damansara Perdana. May I know how to go Stadium Shah Alam from bangsar lrt? And the time needed to reach the destination? Have any alternatives sitting LRT? No LRT available near Shah Alam. The above is the only method for you. You can use RapidKL T631 from Universiti LRT station to Mid Valley, then cross over Federal Highway for RapidKL U60, U69 or U70 to Tesco Puchong. hi,after i take a ktm from kl sentral to shah alam komuter station.how can i go to stadium melawati from shah alam?thank you. can i know how long the rapid u63 come once? how long the rapid u63 come from pasar seni to summit parade?the most early rapid u63 at summit parade is what time? U63 come every 20 minutes. You can also use Metrobus 10. It takes about 45minutes journey and the earliest bus is 6.00am. how to go to puchong ioi mall from bukit jalil stadium? hi, May I know from Kelana Jaya Medical Centre how to go to No.15A, Jalan 219, Seksyen 51A, 46100 Petaling Jaya, by Rapid KL? hi.. may i know which bus goes to or pass by Solaris Mont Kiara?? i am coming from Titiwangsa LRT station... i want to go to Jalan Solaris 3.. thanks! No bus go into Solaris Mont Kiara. You can choose to use U618 from Titiwangsa LRT to Duta and use taxi to go there. You can also use U83 from KL Sentral. thanks for your prompt response! you've been very helpful! 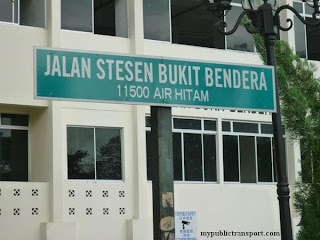 Hi, may I know how to get to subang hi-tech industrial park from pasar seni station? Just wondering, is it possible or if there's a route from batu tiga, shah alam directly to putrajaya without going through KL. Thanks. No. You need to go to KL Sentral for KLIA transit. I would to get a direction to Prince court Medical center ( near jalan bukit bintang or jalan tun razak) from the KL central. Please do povide me a clear direction for it. No issue with by bus or train. You can use LRT to KLCC or Ampang Park, then use RapidKL B114 to Prince Court Medical Centre. Hi.I saw the post on how to go to GoodHope Hotel, which is by taking u80 and go down at persiaran kayangan. But I check the distance of walking would take an hour plus. Thus, I am just wondering, is there any public transport that goes pass somewhere nearby Goodhope hotel or Open University Malaysia in Shah Alam Learning Centre? Thank you. You need to use RapidKL U80, it is not a 1 hour walk, it just 1.2km so you can walk in about 10-15 minutes. I am living in SS23/1 in petaling jaya.. is there a bus going directly to Batu Tiga MRT stations? or any bus going to mrt station near to Batu Tiga station. You need to walk to Jalan SS22/48 for RapidKL T626 to Taman Bahagia LRT station, then use LRT to Kelana Jaya. From Kelana Jaya, use RapidKL U623 to Subang Parade, then walk to Subang Jaya KTM station. Last, use KTM to Batu Tiga KTM Station. may i know which rapid bus got pass through the public bank ss15? i wanna go there from summit usj, thx. I need to know any transport from Pj section 17(happy mansion flat) to sunway pramid shopping mall and how long it take. 1. Use RapidKL T628 to Asia Jaya LRT station, then use LRT to Kelana Jaya. From Kelana Jaya station, use RapidKL U623 to Sunway Pyramid. 2. Walk to Jalan Universiti, then use Metrobus 12 or RapidKL U85 to KWSP, go opposite the federal highway, last use RapidKL U63, U67 or MEtrobus 10, 13 to Sunway Pyramid. All these should take you rougly one hour. hye, i need a little bit information if you can help me , i stay in ( AMPANG POINT ) which bus number and lrt station should i use to reach to SRI HARTAMAS SHOPPING MALL .. can any one help me ... ? May I know how do I get to Setia Walk, Puchong from Sunway Pyramid by bus? or somewhere near setia walk that could reach within walking distance? Thank You. You can get to Ampang LRT station, then use LRT to Titiwangsa. Then, use RapidKL U618 to Sri Hatamas Shopping Mall. You can use RapidKL U76 to Klang Lama, then change RapidKL U60, U69 or U70 to tesco Puchong. Then cross opposite for Setia Walk. Can I have the bus numbers from ss15 taylor's college to kl sentral? Which bus stop should I wait at? I understand there are some people who asked the same thing above but i still cant find my way. I am not from kl and I just got here recently to study in kl. Thank you so much for helping! Depend on where you wait the bus. If you from Persiaran Kewajipan, then you can use RapidKL U67 to KL Sentral. If you from Pantai Baru Highway, then you can use RapidKL U76 to KL Sentral. Another way is wait RapidKL U623 at Persiaran Kewsjipan (Direction heading Subang Parade) to Kelana Jaya LRT station and use LRT to KL Sentral. How to get to Kota Kemuning from Bukit Jalil???? You can use LRT to Universiti station (transit at Masjid Jamek), then use RapidKL U64 to Sri Muda. From Sri Muda, use RapidKL T530 to Kota Kemuning. How to get to Bukit Kiara from University of Malaya? Which part of Bukit Kiara you refer to? Hmm.. I'm doing a research at Bukit Kiara residential area. But I don't know where is the residential area located. Is it possible that you know where I can go? Hmm.. Maybe you can get back to here after you got the address. A road name will be fine. If is like Duta Tropika area and Jalan Solaris? If you want to go to Jalan Solaris, you can use LRT from Universiti station to Titiwangsa (transit at Masjid Jamek), then use RapidKL U618. If you want to go to Duta Tropika area , you can use U83 from KL Sentral. You may check the routes of U618, U7 and U83 on our site because they serve around Bukit Kiara. Which part of Ampang are you from? You can use LRT to Maluri (Transit at Masjid Jamek), then change RapidKL T329 to Kampung Pandan. You can also use RapidKL U32 to Kampung Pandan. May I know which bus should I take from SS2 to Sumway Damansara Technology Park. You can use RapidKL U88 or Metrobus 99. May i Know which bus or any public transport should i take from batu tiga ktm to Hicom-glenmarie Industrial Park,shah alam? ic...is that far to go the place from batu tiga ktm by taxi ? 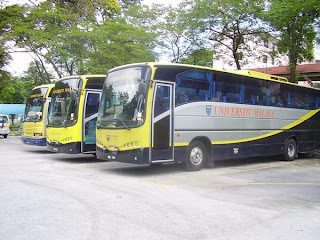 hi i want to know which bus goes from midvalley to banting. and sunway busstop to banting? You need to get yourself to Klang using KTM, then use bus from Klang bus station to Banting. Hi, which bus should I take from Kelana Jaya or KL Sentral to Plaza Damansara? How long does it take? You need to use RapidKL U82 from KL Sentral. hello, if im from ktm sg. buluh to subang airport. which bus i should take? You can use KTM to KL Sentral, then change RapidKL U81 to Subang Airport. From ktm sg buluh there's no bus straight to subang perdana or mahsing? Hi.. I am from USJ 1 Avenue.. how can I go to nearest LRT station by bus? Where can I take the U63 and Metrobus 10? You can go to opposite of SJKC Chee Wen. refer to the following map. how bout from Kelana Jaya to Plaza Damansara? there's no bus to there? Ya. No bus from Kelana Jaya to Plaza Damansara. You need to use U82 from other locations. i would like to know from where i can take rapidKL bus from one selayang apartment to pekeliling? the one selayang apartment is located near to rawang (LATAR) highway. You can use RapidKL U3 depend on your location. May I know how can I get from Taman Bahagia LRT to IOI mall, Puchong? May I know how can I get from Taman Bahagia LRT to Seksyen 26 Shah Alam? You can use LRT to Taman Paramount, then use RapidKL U85 to Mid valley, then go opposite for RapidKL U60, U69 or U70 to IOI Mall. You can use LRT to Asia Jaya, then walk to Federal Highway for RapidKL U65 to Section 26 Shah Alam. Hye..may i know how to go to hospital selayang from ptrajaya?? May I know what's the landmark for section 26 Shah Alam? If I would like to drop off at Limax Industries Sdn Bhd which landmark should I drop off? You can use KLIA transit to KL Sentral, then change LRT to Masjid Jamek. Last, use RapidKL U3 to Selayang Hospital. Limax Industries is located near to Jalan Ijok off Persiaran Kuala Selangor. So you can use RapidKL U65 to stop near Petronas Persiaran Kuala Selangor. From Asia Jaya LRT, I walk to Federal Highway for RapidKL U65. Which landmark should I wait for the bus at federal highway? May I know,If I'm from KL Sentral which bus num should I take to SUnway Pyramid? and From SUnway Pyramid to Wangsa Maju Lrt Station?The fastest route to reach by public transport? May i know from kepong jusco to sunway lagoon, which transport should i take cheaper and convenient? From Sunway lagoon back to kepong jusco too? You will see the bus stop at Federal Highway once you reach there. If you prepare to use bus, you can use RapidKL U4, U8, U11, U13 to City centre, then go to Pasar Seni for RapidKL U63 or U67 to Sunway Lagoon. The return journey is just the opposite. If you want to use KTM, you can go to Kepong KTm station and use KTM to Subang Jaya station (Transit at KL Sentral). Then from Subang Jaya you can use RapidKL U67 or U76 to Sunway Lagoon. May I know how can I get from Kelana Jaya LRT to paradigm mall? I wanna go to Bangunan THK, jalan 51A/234,Pj. You can use RapidKL T627 from Taman Paramount to Jalan 229 and walk to Bangunan THK. May I know which landmark should I drop off at to walk to Paradigm Mall? You can get down after Kelana Puteri Condominium. 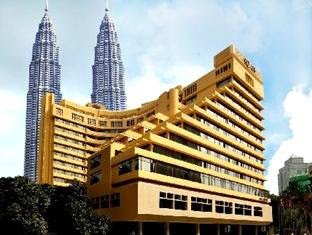 I'm from Ampang and would like to go to Sunway Technology Park, Sunway Damansara. Need your kind advise on the bus/train routes that I should take. Thanks a lot ! Which part of Ampang are you from? You can use RapidKL U88, U89 or Metrobus 99 to Sunway Damansara. May i Know which bus or any public transport should i take from taman sentosa pizza hut to Hicom-glenmarie Industrial Park,shah alam? I'm staying at Taman Bukit Indah, Ampang. FYI, there is a Ampang STAR LRT Station near my house, as well as bus stops. For the buses you have stated, where should I take the buses from? And..where will the buses stop at Sunway Damansara? I actually need to go to PJU 3/48. Wondering whether will it be far for me to walk to the desired destination from where the buses will drop me off at Sunway Damansara. You need to use taxi. No bus go in Glenmarie Industrial Park. You can use LRT to Asia Jaya (Transit at Masjid Jamek), then come out to main road and use RapidKL U88 or Metrobus 99 to Persiaran Surian. However, you need to walk 1.5km to PJU3/48 because no bus go in there. 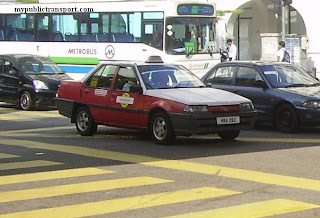 You may use taxi after you reach Persiaran Surian. Hi,may I know how to go general hospital from prima setapak? you can go jalan genting klang and use any bus towards kl to general hospital. hi.. we're planning to shift house at cheras and my office is located at Cyberjaya.. please tell what are the option going to Cyberjaya. Thanks..
You can use RapidKL U429 from Putrajaya sentral to Cyberjaya. 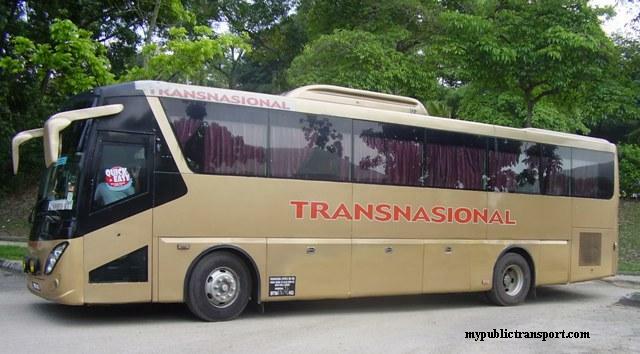 Besides that you can use Cyberjaya DTS bus to Cyberjaya. May I know how frequent is T627 'll passby Hong leong assurance at seksyen 51A? Thanks. T627 comes every 45 minutes. I know that there's a bus U7 from kelana jaya lrt station to 1 mont kiara mall. May I know how frequent the bus will pass by lrt station and which stop should i go down. Btw, is the bus stop right in front of 1MK mall or need some walking distance. You cant get U7 from Kelana Jaya LRT station. You need to go to Lebuh Ampang or Segambut KTm station. 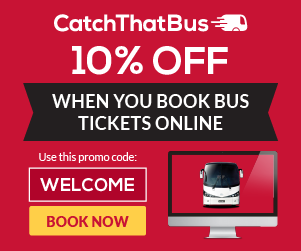 Refer to the route on our site. The bus comes every 30-40 minutes. may i know that how can i get to sunway pyramid from taman bahagia at pj? Hi,may I know how to go KL Sentral form Wangsa Maju by bus only? may i how how to go kdu damansara jaya from sunway pryramid? You can use LRT directly. However if you insist to use bus, you need to use RapidKL U20 to Lebuh Ampang, then walk to Pasar Seni for most of the RapidKL bus to KL Sentral. 1. use RapidKL U623 to Kelana Jaya LRT station, then change U89 to KDU Damansara Jaya. 2. Use RapidKL U63 or U67 or Metrobus 10,13 to Asia Jaya (Federal Highway), then use rapidKL U88 or Metrobus 99 to KDU. 3. Use LRT from Kelana Jaya to Taman Bahagia, then use RapidKL T626 to KDU. Hi, may i know the way to go to stadium melawati from KL sentral ? or from any station of KTM ? You can use RapidKL U80 to Shah Alam bus terminal, then change U605 to Melawati stadium. May I know how to go "One Tech Park, No. 7 Tanjung Bandar Utama, Bandar Utama" from section 17/1a (near jaya one)?? No bus go to One Tech Park. What you can do is use taxi from Jaya One or One Utama to One Tech Park. You can use RapidKL U85 or Metrobus 12 to Poh Kong SS2, then go opposite for RapidKL U88 or Metrobus 99 to 1Utama. Last, you need to use taxi to go One Tech Park because it is beside highway and no bus going into it. 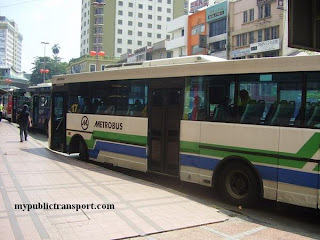 is there any bus i can use from Gombak LRT Station to Batu 8? You need to use RapidKL U12 to Batu 8. Check out U12 routes maps on our site. I would like to go Ampang Point. If I go down at Ampang LRT Station (Star LRT), which bus should i take to. How frequent is the bus coming? After you come out from Ampang LRT station, head to the direction facing Kuala Lumpur, you can use any bus that pass by.